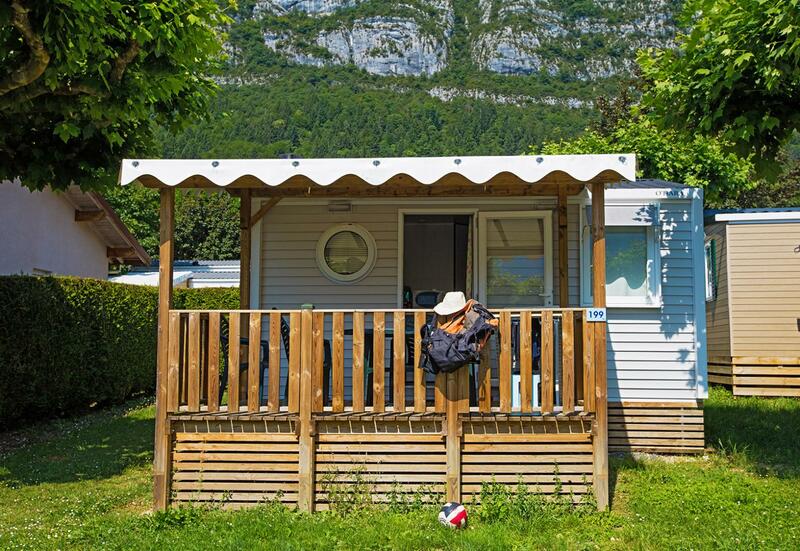 A small intimate mobile home designed for a duo of holidaymakers, Astria offers 16 m2 of interior space, as well as a beautiful covered terrace equipped with outdoor furniture. 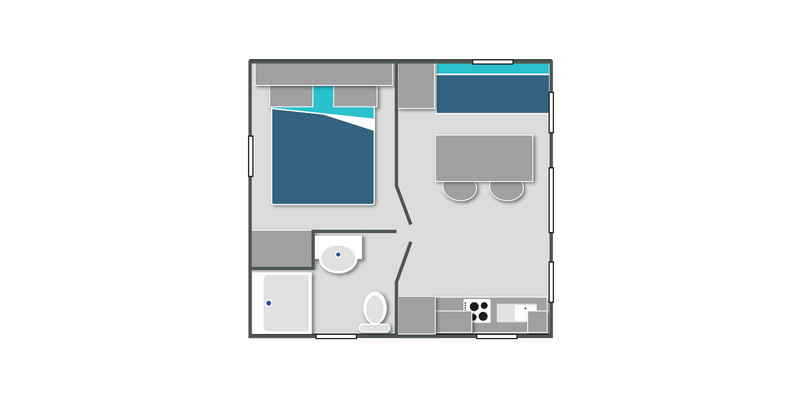 Ideal for a couple's holiday, this rental includes a bedroom with a double bed 140 cm wide, storage cupboards and bedside tables. If necessary, the living room is also equipped with a 120 cm wide convertible bench seat. Compact and functional, this accommodation for two has a dining area and a fully equipped American kitchen: you will find your coffee maker for the morning, a microwave oven, a refrigerator with freezer or ice compartment, cooking fires and dishes for two. A shower room, also very functional, includes a shower cubicle, a sink with storage unit under basin, and toilets.